The Vault of Horror: The Vault of Horror's 2012 Movie Preview! 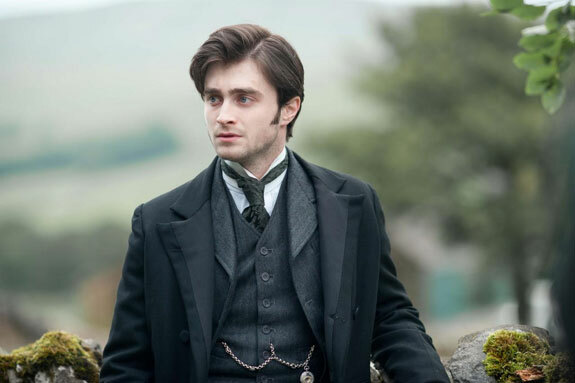 With Harry Potter now behind him, the grownup-ization of Daniel Radcliffe officially kicks off with this moody and atmospheric ghost thriller. I'm a big fan of good old-fashioned ghost stories, and this one has a great look to it. I'm hoping it delivers. Phantasm maestro Don Coscarelli's return to horror has been making quite a stir at film festivals and gaining a lot of internet steam in the process. History has shown that this can all mean squat in the end, but I think it will at least be worth a look. 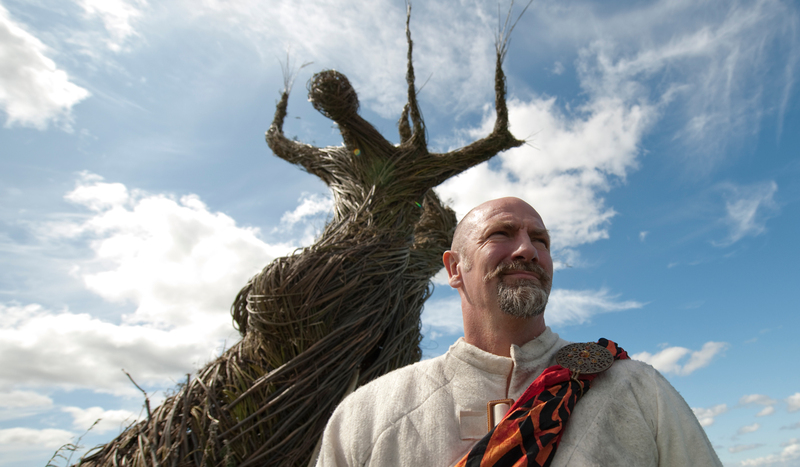 The idea of a Wicker Man sequel written and directed by Robin Hardy, director of the original 1973 cult classic, is about as intriguing as it gets. This is something that Hardy has wanted to do for many, many years now, and I'll be lining up to see what he's come up with as soon as humanly possible. The cameo by Christopher Lee as Lord Summerisle is worth it alone. Not to be confused with Transylvania 6-5000, this one is an animated flick directed by Genndy Tartakovsky, the genius behind Samurai Jack and Dexter's Laboratory, among other things. I'm thinking something along the lines of Igor, only hopefully it doesn't disappear in about two minutes flat. I've been a staunch champion of [REC] since day one. The original was easily the most frightening horror film of the previous decade, and I thought the sequel was a hell of a movie as well. That said, I have some serious reservations about this third one, as Paco Plaza may just have jumped the shark without his longtime partner Jaume Balaguero. Francis Ford Coppola, returning to the genre on which he cut his teeth some 50 years ago with Dementia 13? How could I not be interested in this, even with the participation of bloated, aging, pretentious hack Val Kilmer? Goofy? Perhaps a little. But I've got a soft spot for the whole historical/literary horror mashup subgenre that's been all the rage the past few years. If I'm not mistaken, this would be the first cinematic adaptation in that subgenre. Could Pride and Prejudice and Zombies be far behind? When I met William Lustig at a screening of the original Maniac last year at the Avon Theatre, even he seemed interested to see what the remake of his seminal serial killer exploitation movie would be like. Granted, that may have been due to the enormous paycheck he's sure to receive, but what the heck, I'm being optimistic. Elijah Wood in the Joe Spinell role? This I've got to see. You can razz me all you want, but I had a hell of a lot of fun with Piranha 3D a few years back. Not to mention that it might have been the goriest film I've ever seen in my life! I'm not expecting anything life-changing here, but if the Piranha sequel is even half as much fun as the first one, then I'm there. We've been waiting for it for years. Max Brooks' 2006 novel was one of a kind, taking the exploding zombie genre places it had never been before. And now, the movie is nearly upon us. A Brad Pitt vehicle, it promises to be zombie horror on an epic, big-budget scale. Yes, it's rated PG-13, deal with it. This could be the Citizen Kane of zombie films if done right. Without a doubt, this is the genre project that has the majority of my attention this year. I have high hopes for this one, and almost can't believe it's actually happening. After all these years, Ridley Scott will at last be telling the story of that mysterious spacecraft discovered by the crew of the Nostromo in Alien. This one has the makings of a modern science fiction gem. And this is just a taste. Whether the world ends or not, clearly 2012 is going to be one terrifying year. Strap in, Vault dwellers, and I'll see you at the movies! Well, not really. I mean, if I saw you that would mean you were stalking me, which would be kind of weird, don't you think? Oh well, you get the point... Here's to a year of great horror cinema! I hope Prometheus delivers and I hope all the high expectations don’t work against it. The cast is fantastic so the acting should be good. This is probably my most anticipated movie of the year. World War Z is another movie I can’t wait to see but I’m also wary about it because the book is just awesome and I always worry about movie adaptations, that and I have love/hate relationship with Brad Pitt, hope this one falls into the love part. Didn’t know they were making a third REC. The original was one of the best horror movies I’ve seen in years even though it wasn’t anything new. But now that you mention that Jaume Balagueró won’t come back for this installment I don’t think is going to be good, I always felt he was the brains behind the story, but who knows, I’ll still watch it, though. All in all 2012 looks like is going to be good year! I'm willing to give Radcliffe the benefit of the doubt...for now. He has an uphill climb escaping from the shadow of Mr. Potter. Prometheus does indeed look amazing, and it's really the involvement of Scott that clinches that for me. Personally I'm very much looking forward to The Woman In Black. The original made for TV movie was pretty freaky, and, while I normally hate remakes, it is one of the few movies I think can genuinely benefit from new special effects. If they stay true to the source material it's going to be great! I don't think I was even aware that it WAS a made for TV movie. Thanks for the heads up, Dave! 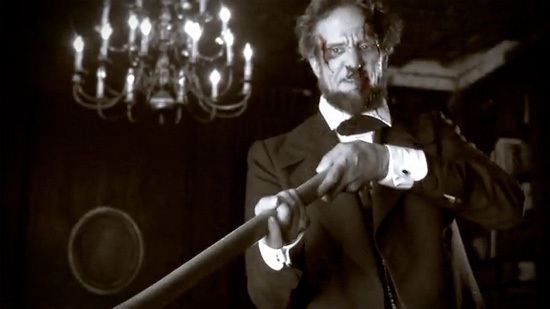 Woman in Black and Lincoln: Vampire Hunter are top on my list to see. So far, the year's been soft with the recent Underworld: Awakening underwhelming. Hope it picks up. So jazzed for Prometheus! Finally figuring out what is up with the giant dude from the first film...oh man. Wicker Tree looks cool too. Real psyched they have Christopher Lee coming back. Also, from what I've seen of the tree itself from the poster and trailer, it looks creepy as Hell. I need something to wash the taste of the Nick Cage version out of my head. And as for Rec, I'll watch both of the new ones, but I'm not getting my hopes up that the 3rd and 4th will be amazing. Here's to hoping though.